During restoration works in the Roman church of Santa Maria in Cappella, workers have found several ancient pots that supposedly contain bone fragments from four early Christian martyrs and from four of the first popes, including St. Peter the Apostle. 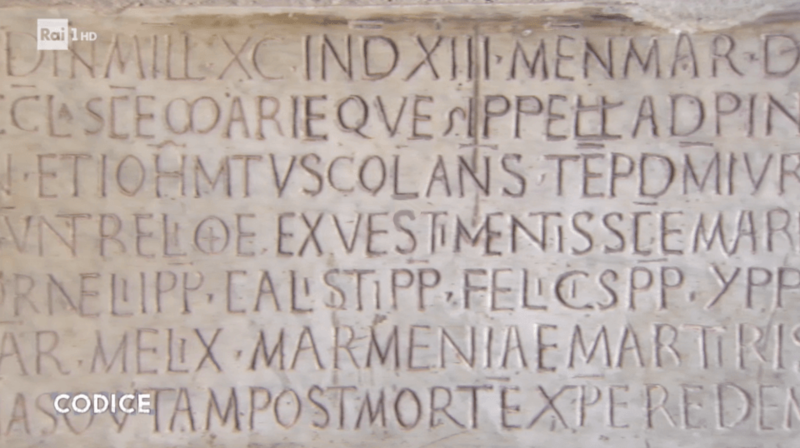 The inscription on the stone covering the lead-lidded pots states they contain bones from several martyrs including Hippolytus and Anastasius, and from Popes Cornelius, Callixtus, Felix and Peter. The church of Santa Maria in Cappella, owned by the Doria Pamphilj family, is located in the Trastevere neighborhood of Rome and was consecrated on March 25, 1090. The bone fragments don’t directly challenge the millennial tradition that Saint Peter was martyred on the Vatican Hill and buried beneath the present-day Basilica bearing his name. During certain period in history, relics of important saints were regularly split up. If authentic, the relics from these early Christian saints would have been collected from various sites and placed inside the medieval altar where they have now been discovered. Further investigation will need to take place before the authenticity of the relics can be verified. The remains of the apostle Peter venerated under St. Peter’s Basilica correspond to what is known from the historical record and archaeologists have identified them as the remains of a man who lived in the first century AD. In 1939, researchers discovered eight fragments during excavations in the Vatican necropolis under the main altar of St. Peter’s Basilica, the place considered to be the burial site of the first pope since ancient times. The fragments were found wrapped in a purple and gold cloth and studies showed that they belonged to a “robust” man who at the time of death was between the ages of 60 and 70 years old. Pope Francis celebrated Mass with a public exhibition of the bones in 2013, marking the first time that the Vatican had ever put the relics on display. According to tradition, the apostle Peter was martyred by the Emperor Nero in Rome in the year 67 of the Christian era.